Go for iconic casual style with the Birkenstock Arizona sandal. 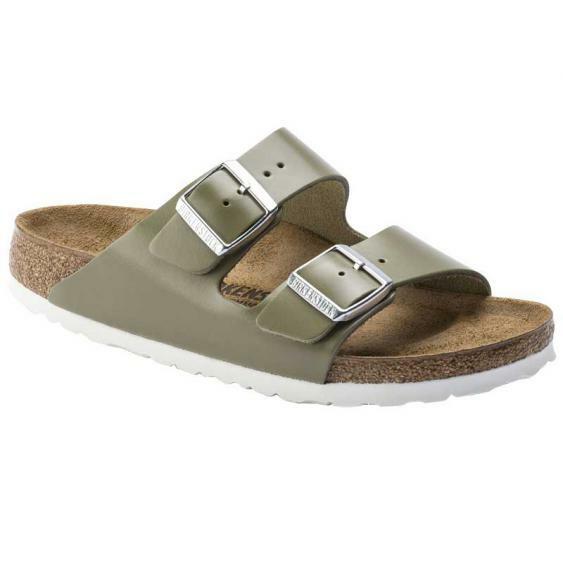 The original Birkenstock design, this casual sandal features a leather or suede upper with two adjustable straps for a snug fit. A suede-covered footbed features layers of cork and latex to mold to the shape of the foot. The EVA sole of the Birkenstock Arizona sandal is lightweight, flexible, durable, and shock absorbent.